Poem based on an archived letter (mine). A piece from my creative translation project of last semester, made up of letter poems: letters to Alice Notley, from all sorts of cool ladies, turned into poems. 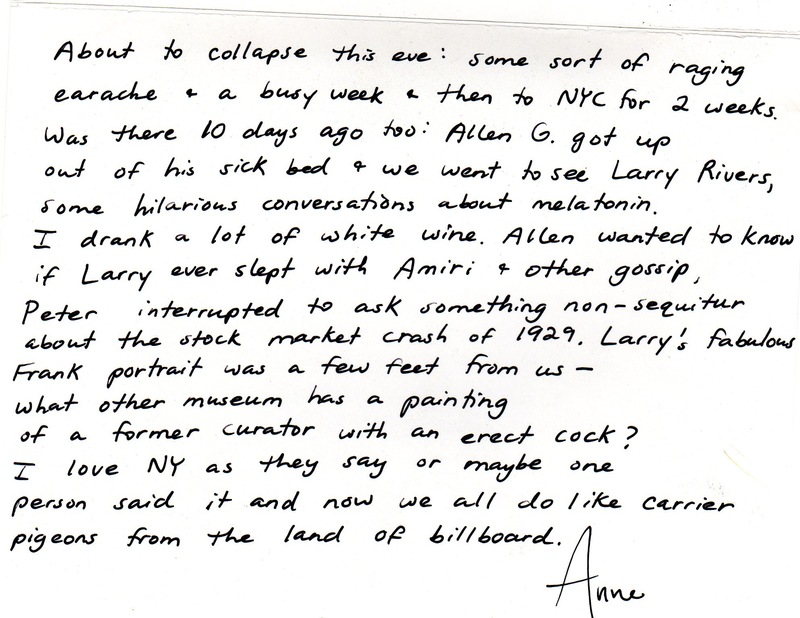 This one’s based off of a letter from Anne Waldman. You poets might recognize some of the names she’s referencing. Thanks to Heather for her handwriting. Scanner inspiration comes from Frankie. Previous “The Wild Party” (Joseph Moncure March). Next A friend is a poem: part 1 (Max Currier). scan it up, scan it in!!! nice. ly. done. taylor katz!! !